Originally living in Sydney where Judy had her retail sewing shop, the present business Punch with Judy was conducted from John and Judy Hall's suburban home. It grew so quickly, that in 1994 they had to move to larger premises, so settled for the rural life they now enjoy – when they are home! It is like their “haven” with beautiful views of The Rock hill. Judy, John and the staff conduct the Mail Order business from premises at the rear of the house. Judy says "Our web site allows you to buy a wide selection of our quality products such as patchwork and quilting supplies, machine embroidery designs and stabilizers, sewing supplies, haberdashery and notions, overlocking products, photo transfer products, punchneedle embroidery, craft supplies, sewing and patchwork patterns and books, sewing and patchwork DVDs and videos and specialty threads for all your sewing and quilting needs". 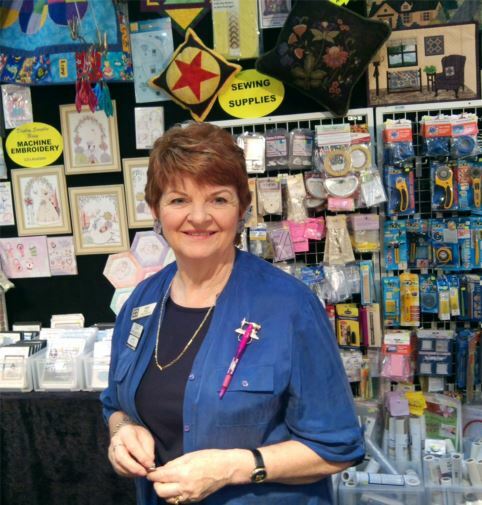 Punch with Judy has won many National Awards via the Australian Craft Industry Awards, including Best Craft Retailer, Best New Product and Lifetime Achievement Award - not once, but several times. Visit www.punchwithjudy.com.au for a huge range of patchwork, quilting, embroidery and general sewing supplies.